Jimmie Charles Shirley was born on October 9, 1932 in North Little Rock, AR where he graduated from North Little Rock High School in 1950 before joining the Navy. He was very proud of his military service and would tell everyone about his time stationed at Pearl Harbor, Hawaii. 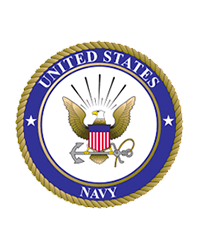 During his time in the Navy he was trained to be an electronic technician. That training led him to accepting a position in Mobile, AL, Walnut Ridge, AR, and eventually back to North Little Rock where he was a Radar Technician at the LR Adams Field (now the Bill & Hillary Clinton National Airport). He was one of a team that were responsible for the monitoring and testing of the radar and system electronic for navigating airplanes on take off and landing. He is survived by his wife Barbara (Parrish) Shirley of North Little Rock. They were married on November 11, 1956. In their 62 years of marriage they had two children: Suzanne Theis (John) of Sherwood and Phil Shirley of Nashville, TN. They have three granddaughters: Lauren Sullivan (Dustin) of Jonesboro, Hannah Lee (Tyler) of Hot Springs, and Kelsi Shirley of Chattanooga, TN. They also have two great granddaughters: Kyleigh and Amelia Sullivan of Jonesboro. He was preceded in death by his parents, Herman B. Shirley and Opal Matthews Shirley; and one brother, John H. Shirley. Jimmie joined FBC Sherwood in June 1968. He was very active in his church for many years until his diagnosis of Alzheimer’s disease several years ago. He served his church by working with the youth, teaching adult Sunday School classes, and serving as a deacon while caring for many families through the Deacon Family Ministry. He is also survived by his brother, Herman B. Shirley (Sue) of North Little Rock, several extended family members, and many friends from FBC Sherwood. 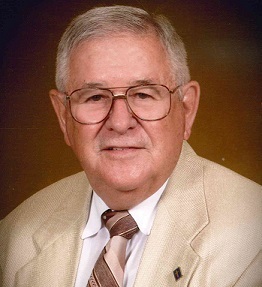 Visitation will begin at 9:30 a.m., Saturday, April 13, 2019 at First Baptist Church of Sherwood, with funeral service beginning at 10:30 a.m with entombment at Rest Hills Memorial Garden.